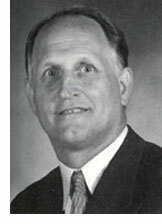 Chuck Buescher led Central to a 31-1 record and the Class AA basketball state title. The Lions won their last 29 games for the school's third Illinois championship. A former professional, Ehrgott won the Illinois State Mid-Amateur and the Illinois Publinx championships, in addition to his sixth Peoria Park District Stroke Play championship. He also placed second in the Illinois State Amateur and finished 13th out of 305 competitors at the USGA Mid-Amateur Championship in Oregon.